One of the many challenges with an integration project is typically the mapping of messages from one API to another. The difficulty most often lies not with the technical implementation (although some former projects mapping SAP iDocs to EDI X12 are still giving me nightmares), but rather with forming the specification of the mapping itself, including understanding the semantical meaning behind each element. This is difficult because it requires expert knowledge of both the source and target system, as well as an analysts who can correct “draw the connecting line” between the two. The correct end result is only achieved through significant collaboration amongst the relevant parties. The mapping must be implemented by a developer before it can be shown to analysts and business users for discussion and validation. This usually entails a number of iterative cycles until the mapping is correct. Enter api-map.com – a new free online tool created by my colleague Joseph Cooney specifically to address these particular challenges. api-map provides a medium to formulate, display and share mapping documentation which can eventually be handed over to a developer for implementation on any chosen platform. This post was extremely useful today while troubleshooting an AppFabric error with Service Bus Relays (“System.ServiceModel.ServiceActivationException: The service ‘/MyServices/MyService.svc’ cannot be activated due to an exception during compilation. The exception message is: A base address with the uri scheme ‘net.pipe’ needs to be specified if using service management endpoint ‘ServiceManagementNetPipeEndpoint’.”) There have been many other posts about this topic, but this is the first one I found that revealed the critical last step of checking the net.pipe binding on the website level (not just the application level)! Well done, Sajid!! 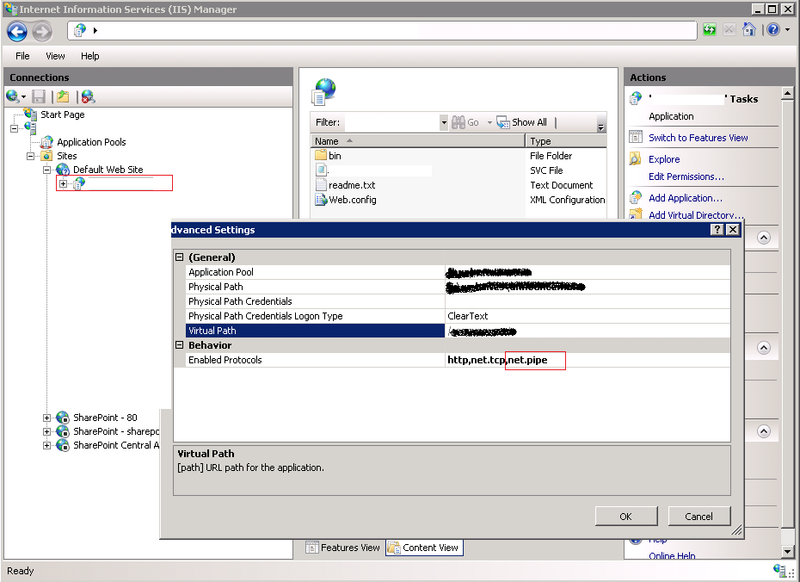 AppFabric uses this magically generated service endpoint when we configure the services to start automatically. System.ServiceModel.ServiceActivationException: The service ” cannot be activated due to an exception during compilation. 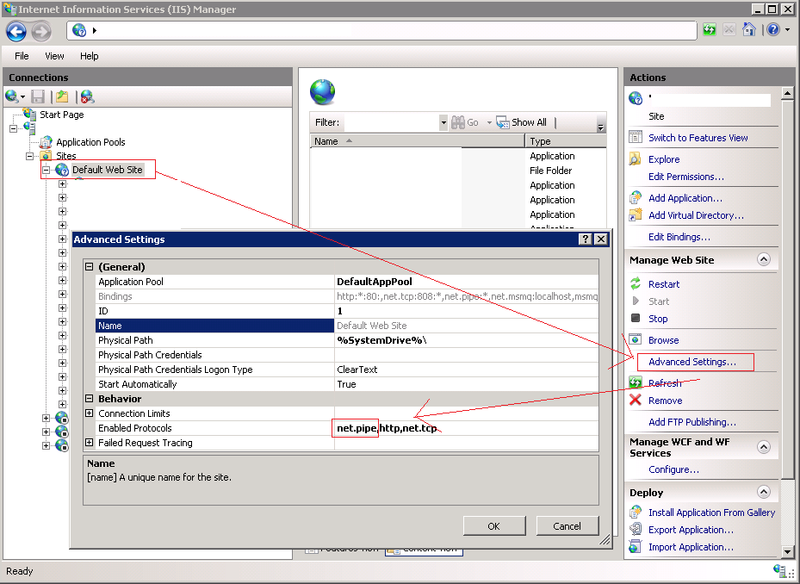 The exception message is: A base address with the uri scheme ‘net.pipe’ needs to be specified if using service management endpoint ‘ServiceManagementNetPipeEndpoint’. Verify a base address exists on the site and the protocol is enabled on the application.. —> System.Configuration.ConfigurationErrorsException: A base address with the uri scheme ‘net.pipe’ needs to be specified if using service management endpoint ‘ServiceManagementNetPipeEndpoint’. Verify a base address exists on the site and the protocol is enabled on the application. Under the advanced settings of the service make sure net.pipe configured as one of the enabled protocols. Still see the same error?? Check if the website has this binding enabled. 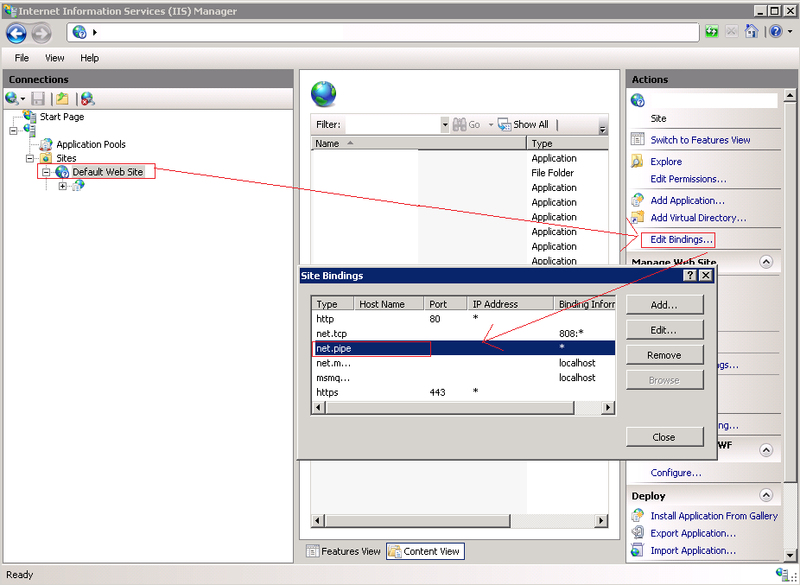 And verify this binding is enabled as protocol on website level. Microsoft introduced Hybrid Connections a few weeks ago, a [currently] free version of BizTalk Services that allows you to seamlessly connect Web Sites and Mobile Services hosted in Azure to LOB systems residing within your organisation’s network. Similar to Service Bus Relays, there is no need to open inbound firewall ports as a locally installed agent can establish the connection to Azure from within your network. To help support this feature, Microsoft also introduced a free tier of BizTalk Services specifically to accommodate Hybrid Connections. The most obvious question asked by most is, “Will this replace Service Bus Relays?”. After all, they do seem very similar in concept. Michael Stephenson wrote an excellent blog post addressing this very question and identifying the key differences as well as the situations you would most likely choose one technology over the other.